A state board last week denied a request from local conservation group High Country Citizens’ Alliance (HCCA) to review a state decision approving the construction of a controversial exploratory mine tunnel on Mt. Emmons. This decision by the Colorado Mined Land Reclamation Board means the state’s approval of the exploratory tunnel proposed by U.S. Energy remains valid, but the company will still need separate approvals from the town of Crested Butte and Gunnison County to begin construction. The exploratory tunnel, or drift, is being proposed by Lucky Jack mine owner U.S. Energy Corp. as a way to evaluate the economic viability of the molybdenum ore deposit stored in Mt. Emmons, known locally as Red Lady. Mt. Emmons is predicted to contain 22 million tons of high-grade molybdenum ore, and 220 million tons of lower grade ore, making it one of the largest deposits of molybdenum in the world. A prospecting permit for the drift was approved in March 2008, through a confidential notice of intent issued by the Colorado Division of Reclamation, Mining and Safety. HCCA has argued that the drift is unnecessary to determine the ore body’s value and will assist with future mining activity. HCCA learned of the state’s decision only after receiving a press release from U.S. Energy stating the company’s intent to move forward with permitting the drift. Soon after learning about the drift, HCCA said it would ask the Colorado Mined Land Reclamation Board for a review of the decision. The Mined Land Reclamation Board is a publicly appointed board that oversees the operations and strategy of the Division of Reclamation, Mining and Safety. On May 14 HCCA appeared before the Mined Land Reclamation Board to request the review. According to a May 19 press release from HCCA, public lands director Dan Morse and attorneys for HCCA presented the board with evidence why the drift could be classified as mining activity. HCCA argued that the Division of Reclamation, Mining and Safety had improperly classified U.S. Energy’s proposed tunnel as exploratory in nature. The group asked the Mined Land Reclamation Board to reverse the approval of the drift and review it as a mining permit, which would require more stringent environmental protections and public participation. According to the press release, representatives and attorneys from U.S. Energy and the Colorado Attorney General’s Office argued against any public review of the issue. U.S. Energy community relations director Perry Anderson says the mining company showed that it had followed the correct procedure for approving the exploratory tunnel, and it really did not have much say against the Division of Reclamation, Mining and Safety’s decision. “We just followed the process,” Anderson says. Division of Reclamation, Mining and Safety environmental protection specialist Allen Sorenson says there is no avenue for public input under a prospecting permit. He says, “The current statutes say that prospecting is supposed to be confidential.” However, Sorenson said Colorado Governor Bill Ritter is currently considering Senate Bill 228, which could allow for public input on a prospecting notice in the future. The press release also states that the Mined Land Reclamation Board discussed the Colorado Attorney General’s recommendation that HCCA did not have enough standing to request a hearing on the issue, and that the board itself did not have the authority to review the discussion. The Mined Land Reclamation Board’s attorneys advised that no individual or board has oversight authority for prospecting decisions made by the Colorado Division of Reclamation Mining and Safety. Sorenson says HCCA’s request did spark a discussion among the board about the lack of an appeals process for an issue like the drift. 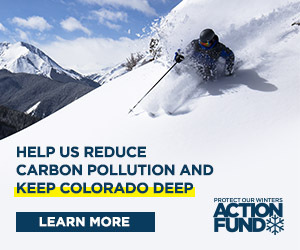 He says the Mined Land Reclamation Board decided, “There was no appeal mechanism available to High Country Citizens’ Alliance as to the decision.” Sorenson says the Mined Land Reclamation Board discussed that to create such a mechanism would require a statutory change initiated by the Colorado legislature. “That was the way the discussion was going,” he says. Sorenson says Senate Bill 228 will not create such an appeals process if it is signed. “It wouldn’t have changed the fact that there is no avenue to appeal. It does open them up to some degree to release to the public prospecting information,” he says. Following the discussions, the Mined Land Reclamation Board voted four to one to deny HCCA’s request. Two members were absent. Morse says Mined Land Reclamation Board member Ray Peterson, who represents agricultural interests, was the only dissenting vote. Morse says there is a state statue that allows some decisions made by elected administrative agency officials to be appealed to a state court within 30 days, but HCCA’s attorneys are studying to see if this is a viable option. With state approval secured, U.S. Energy will still need two more approvals before construction can begin on the drift. According to Morse, U.S. Energy will need a Municipal Watershed land use change permit from the town of Crested Butte. The town adopted a revised watershed ordinance on May 19, after nearly a year-long moratorium against development in the watershed. Sorenson says U.S. Energy may also need approval from the county. Following the initial approval by the Division of Reclamation Mining and Safety, U.S. Energy submitted an amended work proposal to Gunnison County. In March, county officials said they were reviewing the level of impact the proposed drift would cause, which would determine the length of the county’s review process. That review was postponed following the withdrawal of Kobex Resources Ltd. from the Lucky Jack operation on March 31. Anderson says U.S. Energy put its discussions with the county and town on hold to let HCCA’s meeting with the Mined Land Reclamation Board proceed. “We were not doing anything until this hearing was complete,” Anderson says.